Ok So I laid out a board. 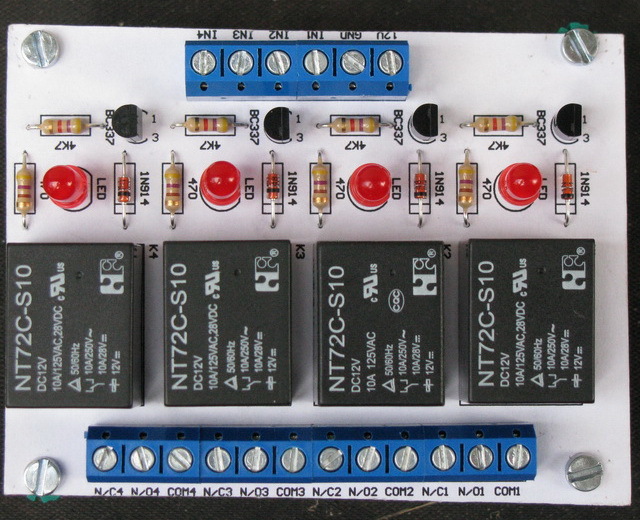 This is layout for the prototype board. 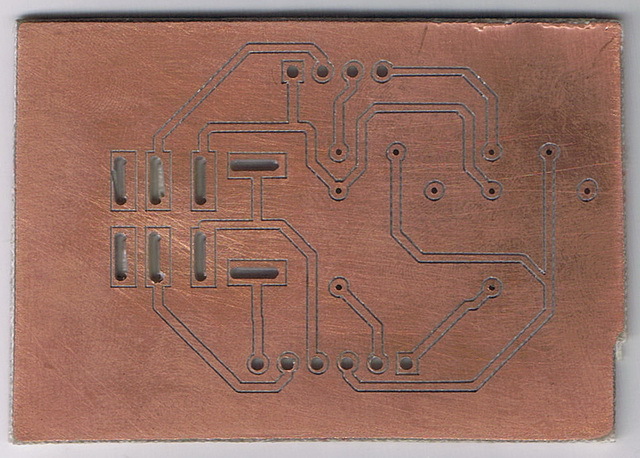 I'm going to make a single-sided PCB on the mill, so bottom side tracks only and jumper minimisation was the goal. I certainly haven't perfected PCB isolation routing, so a single track between 0.1" DIP pads was the smallest width I allowed. 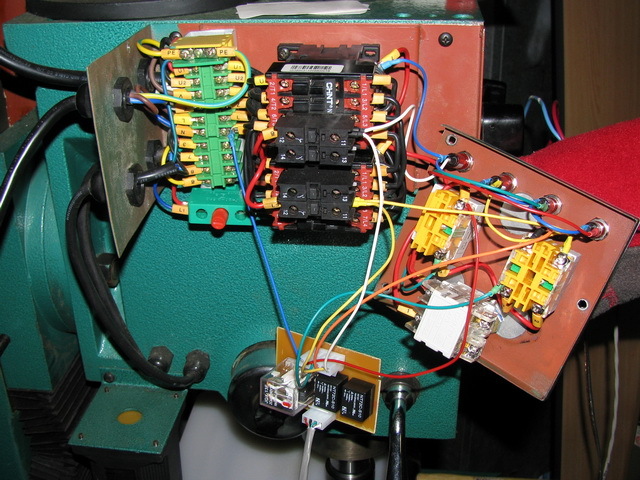 I'll admit the component placement was largely manual (into relevant sections), but the routing was 95% auto-router. 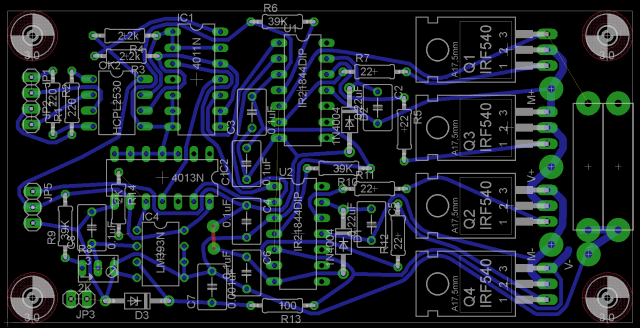 A couple of adjustments were made after the first prototype - this is pretty close to the layout. I printed the layout and stuck it on the board before routing & drilling, it is a handy guide when inserting components. I certainly wouldn't advise a paper-overlay (absorbing moisture, catching fire, etc) but it's fine for a simple prototype. It's pretty ugly. 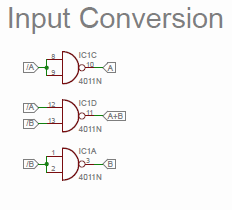 I had numerous problems with the isolation routing (breaking tips, very wide). I've been using a Dremel 300 Series. The standard collet setup was just awful (massive run-out), I'd heard about using the Dremel 3-jaw chuck since this was more accurate. I put one in, and measured its run-out... yes, it is much better than the collet arrangement, so that's what I used on this board. 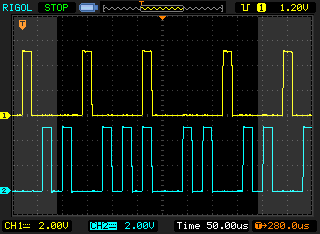 After finishing the board (and breaking 2 tips), I rather accidentally was watching the tip of the spindle side-on and discovered that, when spinning, the bit was prone to break into periods of vibrating wildy (visually estimated at ~1mm). This explained the broken bits and wide cuts. Whilst invaluable as a hand tool, a Dremel is simply not a precision machine tool. A Proxxon Professional drill/grinder IB/E has been ordered. 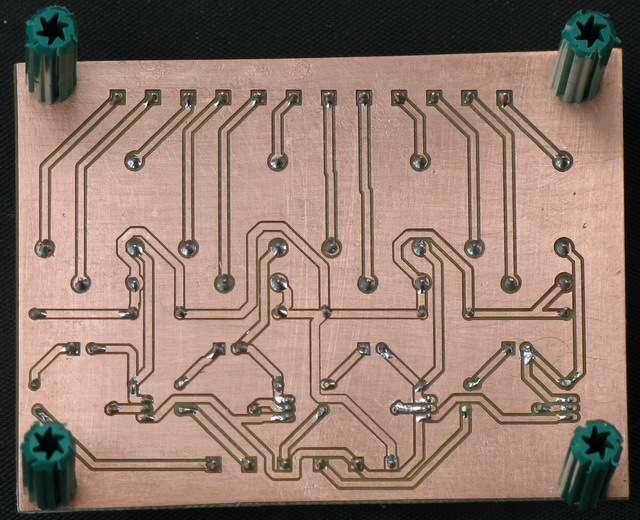 With hardened steel collets and a manufacturer stated run-out of 0.03mm (1 thou), these seem to be preferred by the PCB routing hobbyists. 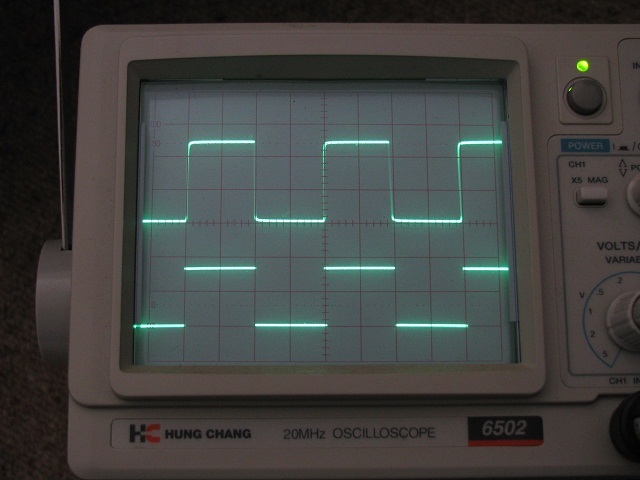 So, besides a forgotten pullup resistor, decoupling capacitor and 2 x 1K resistors in series to make 2K, it's pretty close to the original design. For an initial prototype - it'll do. When the design is a little more stable & tested, some cheap Chinese factory PCBs (ITead Studio or Seeed Studio) may be in order. 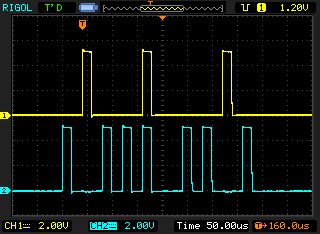 As briefly mentioned before, I need a way to take the CNC4PC C10 breakout board's output signal (5V@24μA) and switch higher currents and voltages. 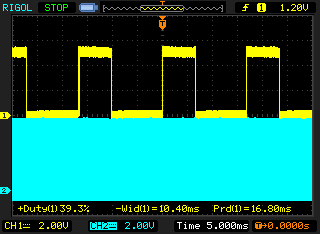 After the 4 pairs of step & direction signals, the C10 board still has another 4 outputs (spindle, coolant, etc). 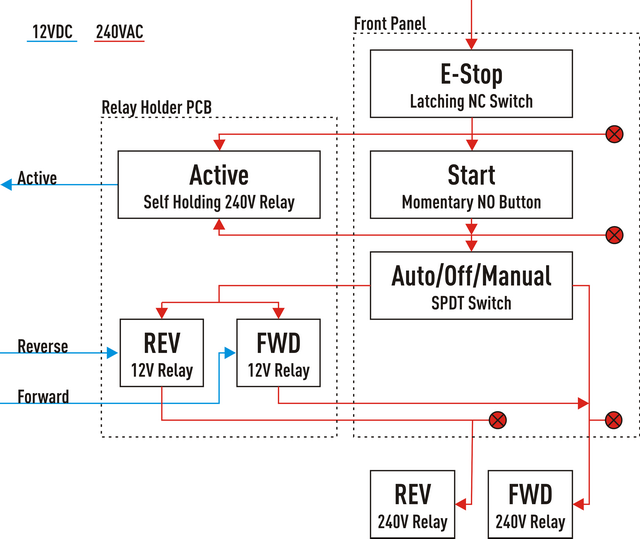 CNC4PC do sell the C15 (a nice opto-isolated dual relay board). I should just buy two of these (they're quite reasonably priced), but this is about the journey, not the destination. 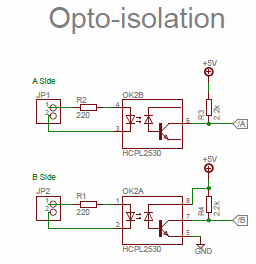 In pursuing modularisation I think that opto-isolation belongs on separate modules, so my quad relay board won't have it. 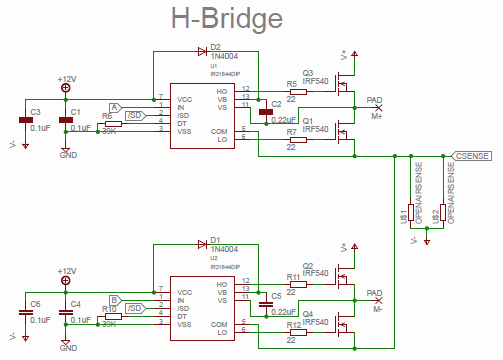 All that's required is a few transistors to step up the current, some relays capable of 240V@10A, LEDs for diagnostics and supporting passives (current limiting resistors and fly-back diodes). With the new X axis coupling, the board drilled and milled without losing position. The only issue was the double-sided tape holding the board down gave up during the final board shape routing (hence the lack of squareness). The isolation ran at 60mm/min and took about 30 minutes to run (I really need to find a way to get 30,000rpm instead of 1200rpm). To make it easier to place the components, I printed the overlay on paper and stuck it on top of the PCB (using a needle to pierce the lead holes). The Ø1.2mm pads on the diodes & resistors were a challenge to solder (it was very easy to bridge across the milled 0.2mm isolation channels). 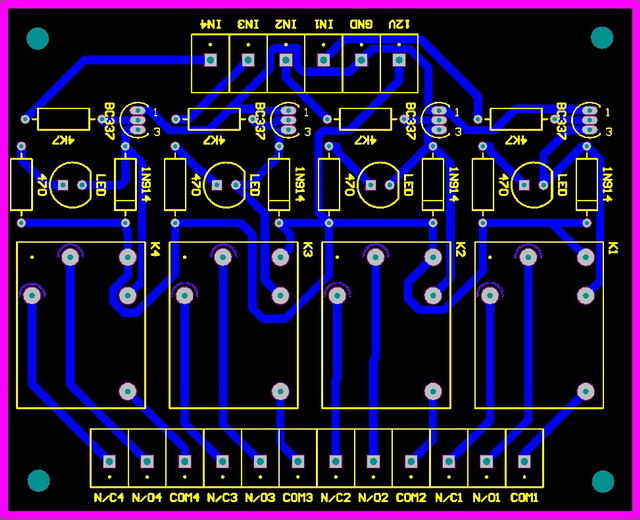 In the future, for manually soldered boards, I should make both the pads and the channels larger (the board design didn't need such small pads - Ø1.5mm should be fine). If you're interested in the tool-chain: Altium Designer for Schematic & PCB layout, CopperCAM for Gerber to GCode, Mach3 for Milling. I needed to make a Z axis coupler, so I thought I'd do a new X at the same time. Here's a quick look at it in action, and also a demo of the new panel.